Straight out of the shop, this Duane Dwyer Custom SMF folder is outfitted with a Concealed Carry (CC) G-10/Titanium handle with the "Caveman" texture. 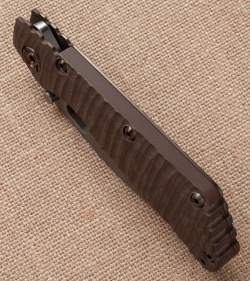 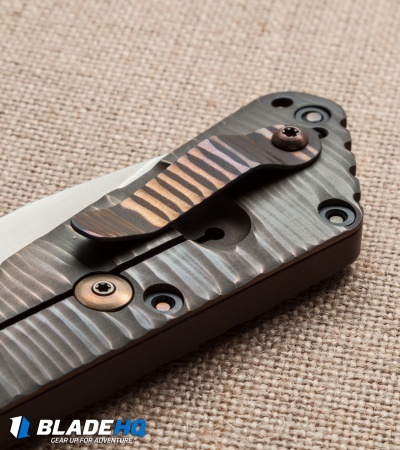 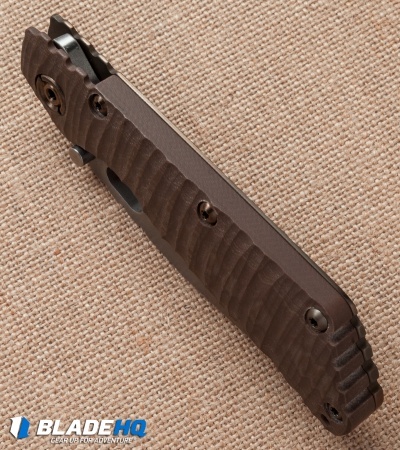 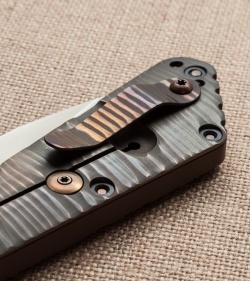 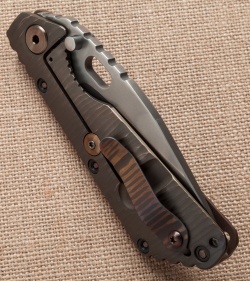 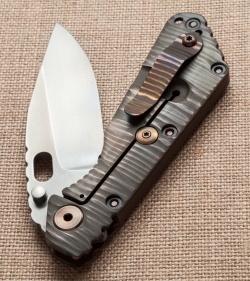 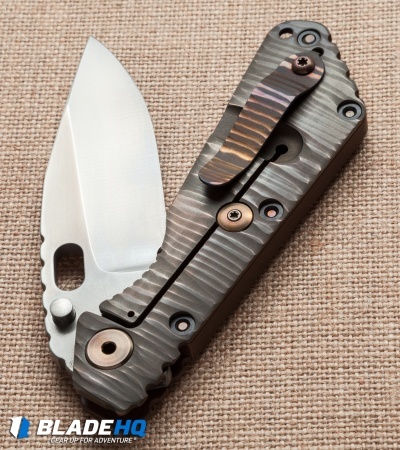 Brown G-10 is paired with bronzed titanium hardware and a colored pocket clip. 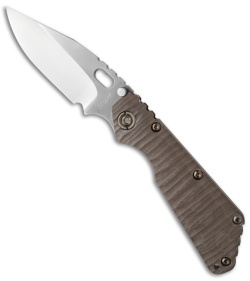 The blade is hollow ground CTS-XHP steel with a matte satin finish.